José Veras was outrighted off of the 40-man roster and assigned to the Triple-A Nashville Sounds. José Veras refused the assignment and declared free agency, as was his option. Nyjer Morgan* was outrighted off of the 40-man roster and assigned to the Triple-A Nashville Sounds. *Morgan has cleared waivers and can elect free agency tomorrow. He is expected to do so. Last night, MLB.com’s Brewers beat writer Adam McCalvy tweeted that Jose Veras had elected free agency following his removal from the team’s 40-man roster by way of an outrighting to the minor leagues. This confused me a little bit because despite Veras’ propensity to walk batters (40 in 2012 in 67.0 IP for a BB/9 rate of 5.4) and his maddening inability at times to retire the first batter he faced upon entering a game, he pitched very strongly down the stretch in terms of runs allowed (14 September appearances, zero runs). That, to me, means that he must have at least a sliver of trade value despite the market for relief pitchers being kind of inundated with arms already. Shortly after, McCalvy clarified his tweet with additional information which stated that Veras’ agent indicated that the veteran bullpen pitcher was, indeed, outrighted and was planning on electing free agency should he clear waivers. Basically that means that the Brewers are still within the standard time frame of the waiver process which could allow them to trade Veras for some kind of small return. Hopefully a team in need of a middle reliever will give up something of value, though I wouldn’t hold my breath expecting much. Veras was due for a raise as he is eligible for salary arbitration this off-season. He made a reported $2 million for the 2012 season. So, while the Brewers could technically re-sign Veras as a free agent, if they weren’t willing to negotiate against he production/comps/previous salary, it’s unlikely that they’d be able to reach what he would deem to be an acceptable contract. He finishes his tour in Milwaukee with a 5-4 record, 1 Save, and 79 strikeouts, while surrendering 61 hits, 29 runs (27 of which were earned), and allowing five home runs and 40 walks in 67.0 innings pitched over 72 appearances. The first “half” of the regular season came to an end for the Milwaukee Brewers this afternoon with a 5-3 Win in Minute Maid Park, home of the Houston Astros. Zack Greinke started the game, his second in two days (more on that later), but a rough first inning saw the former Cy Young Award winner throw 39 pitches and allow three runs to score. Greinke settled down after the first but with a reduced pitch count was only able to get through three full innings (on 66 pitches) before being lifted for the day’s scheduled starter Marco Estrada. Why did Greinke start consecutive days? That would be the direct result of being ejected from Saturday’s game after facing two hitters, and only throwing four pitches. Greinke was tossed after arguing balls and strikes with home plate umpire Joe West. Something that will get you tossed every time. Wait…what? That’s not what happened? Then it must have been because he spat in an umpire’s face. Kicked dirt on an umpire’s shoes. Of course I’m being facetious. Greinke was tossed because he spiked the baseball into the dirt after failing to cover first base quickly enough on a ground ball. Greinke was late getting over and the quick Jose Altuve tied him to the bag. First base umpire Sam Holbrook called Altuve safe (the right call) and Greinke, mad at himself for getting over late, threw the ball down in disgust. Holbrook, who isn’t exactly known for his patient temperament, sent Greinke to the showers. Anyway…after such a short outing (and no scheduled plans for Tuesday), Greinke offered to come back and start Sunday’s game. He did just that, struggled through the first inning, but left on a positive note when he struck out the side in a perfect third inning. Estrada entered and allowed only one baserunner on a walk, but who was retired on a double-play. Therefore, Estrada faced the minimum through three innings of work. He was lifted for Jose Veras who was then followed by Francisco Rodriguez, each of who worked perfect innings in the 7th and 8th respectively. The Brewers had tied it up by the 9th inning when Manny Parra entered and worked a clean frame to send the game into extra innings. That ended up being just “extra inning” however as the Brewers plated a pair despite leaving the bases loaded. John Axford entered the game and, though allowing a couple of baserunners, closed the door for his 15th Save of the 2012 season. The victory gave the Brewers a series victory and saw them end the first “half” of the year with a record of 40 Wins against 45 Losses. Gennett entered the game in the 5th inning but still managed to amass four plate appearances, which is reflected in the fact that Team USA scored 17 runs in a rout of Team World.Brewers prospect Scooter Gennett didn’t start, but did finish the 2012 All-Star Futures Game which was played on Sunday night in Kaufmann Stadium which will host the All-Star Game on Tuesday night. The hit was a double, and Gennett scored both times he reached based for Team USA. Gennett was the only Brewers representative in the Futures Game this year. After the big league game ended, utility man Taylor Green was optioned back to Triple-A Nashville in a move designed to give the former organizational Minor League Player of the Year some playing time. While up with the parent club, Green got chances but they came spottily at best and barely at all once Corey Hart was basically permanently moved to first base defensively. Green needs the chance to play every day and to get some swings. He’s only had four plate appearances all month and hasn’t logged a hit since June 26th, not coincidentally his last start. The team stated that they would call up a bat in time for Friday to replace Green on the roster, but they did not name the player who would be coming. Chances are it will be a middle infielder as they are covered quite well in the outfield and at the infield corners. Based on 40-man roster implications, my money would be on second baseman Eric Farris who is the only infielder at Nashville currently on that roster. 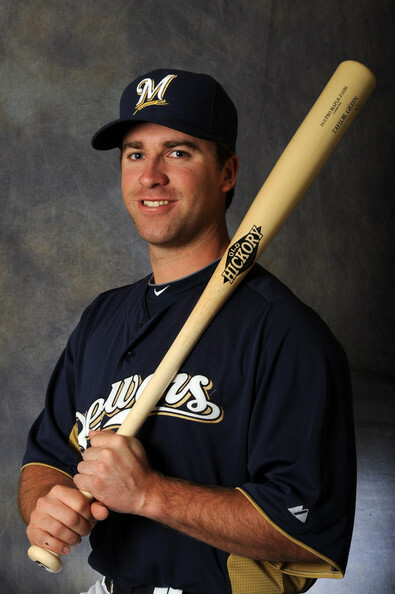 Farris also would offer a right-handed hitting option off the bench in games where manager Ron Roenicke starts nearly all right-handed hitters. Previously, the bench options would have been lefties Nyjer Morgan, George Kottaras, Green, and switch-hitting Cesar Izturis who is cover-your-eyes awful from the right side. 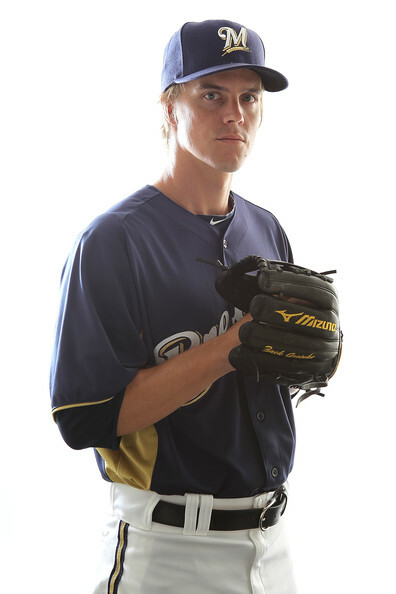 Zack Greinke will be making Brewers history this coming Friday, assuming he makes his scheduled start at Miller Park. More than that, he’ll be doing something that hasn’t been done since 1917!! If Greinke makes the start as planned, he’ll be starting three consecutive games for a team in the same season. This feat was last performed 95 years ago by Hall of Fame pitcher Red Faber who did it for the White Sox. Faber’s three games were a bit different than what Greinke’s All-Star-break-aided trio will be though. Faber started both games of a double-header (he got shelled in both leading to short outings) and then threw a complete game, 16-hitter (only 3 runs!) the next day. Still, starting three consecutive games in the same season is a feat unmatched since. Leave it to Zack Greinke (credit Holbrook with the assist?) to challenge history. The Brewers hit the road following their brief three-game season-opening homestand. They headed south on Interstate 94 to Chicago to take on the Cubs in a four game series which, because it’s Chicago, meant two evening games and two day afternoon games. The Crew took the first three games in the series and looked good heading into an opportunity for their first ever four-game sweep of the Cubs at Wrigley Field. They fell painfully short of that goal, but more on that later. The fact is that in a venue where the 96-win 2011 Brewers only won two games all year, leaving town with three notches on the bedpost is certainly an acceptable outcome. For more on each game’s individual happenings, read on! In the opening tilt of the series, the Brewers not only scored early (RBI sac fly by Aramis Ramirez, plating Nyjer Morgan), but often (scoring runs in six of their nine frames). In a nice blend of small ball and…big ball, I guess…the Brewers got a solo home run from Rickie Weeks in the third and RBI extra-base hits from Mat Gamel (triple) in the sixth inning and Ramirez (double) in the Brewers’ next frame. Milwaukee also picked up RBIs by way of both a safety and suicide squeeze, and a pair of sacrifice flies. The only real point of concern came in the bottom of the ninth when, sporting a 7-3 lead and with closer John Axford having just thrown 27 pitches the night before, manager Ron Roenicke called on Manny Parra to finish out the game. Parra allowed a leadoff double and was lifted for Tim Dillard once the left-handed hitters were done. Dillard walked Geovany Soto which forced Roenicke’s hand. Axford entered the game and allowed his first batter faced to single home a run on Parra’s linescore. With men at second and third and only one out, Axford struck out David DeJesus but then walked Darwin Barney to load the bases. In a beautifully-called and executed sequence, Axford then struck out Starlin Castro on three pitches to end the game. A cold night in the Windy City saw a team of (mostly) hooded men residing in the first base dugout. The hoods designed to keep a player’s head and neck warm could also be pulled up to cover the face while running the bases, and the sight of so many of the Brewers wearing them caused many fans to invoke a “ninja” theme to the evening’s events. It was a mostly fitting description for the early part of the game as the Brewers struck blows to the Cubs starting pitcher repeatedly. The loudest blow of the night for Milwaukee came from the first hitter in the batting order to plays sans shroud, Alex Gonzalez. He made plenty of noise by blasting a three-run home run into the left-center field bleachers, capping the scoring at five for the frame. The ninja thing might have been a perfect description if not for the fact that Corey Hart and Mat Gamel were both hit by pitches in the first inning. After all, ninjas are supposed to be incredibly stealthy and therefore shouldn’t be able to be plunked. The Cubs were never really in this game, though they did cut the lead to three runs in the third inning. There was more ninth inning drama as well. The Brewers once again put a four-run lead up against the Cubs final three outs and put a non-closer on the bump to begin the ninth. After Kameron Loe had pitched two mostly brilliant innings of scoreless relief, Jose Veras was given the first chance to slam the door but hung a curveball to Geovany Soto which was blasted into the stands for a home run. After striking out the scuffling Marlon Byrd, Veras walked the pinch-hitting Bryan LaHair. The situation now being a three-run lead with the tying run in the on-deck circle made it a Save opportunity. With John Axford having thrown over 50 pitches over the previous two days, manager Ron Roenicke had decided prior to the game that the Ax Man was off limits tonight. Roenicke walked to the mound and signaled for a right-hander to enter the game. Francisco Rodriguez jogged to the mound looking to record his first Save as a member of the Milwaukee Brewers. K-Rod needed just seven pitches to get through the final two hitters. He secured Chris Narveson’s first Win of the year by striking out David DeJesus and inducing Darwin Barney to ground out to Alex Gonzalez. The Brewers had just guaranteed themselves no worse than a series split, but had eyes for more. Yovani Gallardo’s start on Opening Day was brutal. (You can click here for that recap.) A lot of people were questioning the staff ace and his abilities, which is ridiculous but they were, and were looking for a bounce-back start against the Cubs. Going seven strong innings, only allowing one run (earned) while scattering five hits and two walks, he struck out six Cubs hitters on the day. He shaved nearly nine runs off of his ERA (early season small sample sizes are fun! ), nearly a point and a half off of his WHIP, and thousands of doubters off his back about his admittedly rough start five days earlier. Nearly exceeding his performance, however, was Cub starter Ryan Dempster. He too pitched on Opening Day for Chicago, but with much better personal results than Gallardo achieved. Dempster made it to the seventh scoreless, but allowed a one-out, two-run home run to George Kottaras which proved to be the difference in the game. Gallardo was set to be pinch-hit for had Kottaras not come through, but instead he came back out in the bottom of the seventh and worked himself into and out of the only substantial Cub threat of the afternoon. The eighth and ninth were by design after that, with both Francisco Rodriguez and John Axford striking out the side around two walks and one double, respectively. Sweep a four-game set from the Cubs at Wrigley Field. When you head into the final game of a series with a chance to sweep that series, and you have one of the best pitchers on your staff starting, you feel pretty good about your chances that day. So, too, did the Brewers with Zack Greinke toeing the rubber on Thursday afternoon. The second half of the Brewers pair of aces could only muster 3.2 innings pitched on Thursday afternoon, and he was charged with eight earned runs before it was all said and done. That was a far cry from his seven shutout innings against the St. Louis Cardinals five days prior. The highlights of the game for the Brewers would be that two relief pitchers, who had been previously roughed up a couple of times, posted multiple, scoreless innings in relief of Greinke. Manny Parra took over in the fourth inning and pitched through the sixth, striking out four along the way while walking none. Tim Dillard then covered the seventh and eighth, also walking no one. Each relief pitcher allowed two hits while working. Otherwise, Matt Garza simply had his way with every Brewer hitter not named Nyjer Morgan (two hits in four trips to the plate) or Jonathan Lucroy (one hit, one walk in three PAs). Garza only allowed three hits through 8.2 innings pitched, while striking out nine and walking only two. His only hiccup, if you can even call it one, was when Garza induced a ground ball back to himself off of the bat of pinch-hitter Norichika Aoki but then threw the ball way over and past first baseman Bryan LaHair, allowing Aoki to reach. With Garza then at 119 pitches, Cubs manager Dale Sveum marched to the mound and lifted his starter in favor of Monday’s starter Shawn Camp. Camp got George Kottaras to ground out on four pitches to finalize things. Like I said at the top, taking three out of four games at Wrigley Field is never a bad thing, regardless of whether you lost the final game with arguably your best pitcher on the bump. Games against the very much so rebuilding Cubs are just as important, if not more so, as games against other opponents in the division. You must beat the teams which you are supposed to beat if you hope to approach last season’s franchise-best win total. I really liked seeing solid starts from Shaun Marcum and Chris Narveson in their first turns, and was greatly encouraged by the fact that heavy use early didn’t affect John Axford and Francisco Rodriguez as they were both very good as usual. The bats need to wake up a bit still. Look no further than notoriously slow starter Aramis Ramirez (2-for-22 to begin the campaign) as evidence of that, but there is plenty of time to turn things around. After beginning 2011 with a 0-4 record and not winning for the third time on the road until their ninth try, being 4-2 after six with three victories away from Miller Park isn’t a bad place to be. The Brewers are in Atlanta tonight for the first of a three-game series. Tonight is the Braves’ home opener. That game will be contested by Randy Wolf and Jair Jurrjens with the first pitch being scheduled for 6:35 Central Daylight Time. We’re inside six weeks, faithful (or first-time) readers. If you look to the right-hand side of the page, and are reading this on the day it was first posted, you’ll also notice that we’re a week away from on-field action against another team. It’s an exciting time of the year to be sure. One where, in a normal set of meteorological circumstances, we’d be talking more about the trading of the seasons from winter to spring. 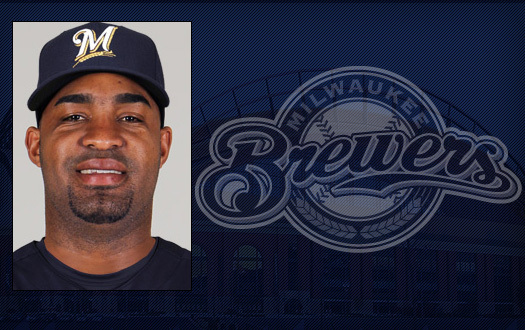 Milwaukee’s recent addition will once again take the mound in Miller Park, though in a relief role unlike last off-season’s additions. Acquired in exchange for 3B Casey McGehee back in December, Jose Enger Veras was recently described on Twitter by Brewers beat writer Adam McCalvy as “gigantic” when he reported to Maryvale for the start of Brewers Spring Training. In the tradition of reporting that a player has reported to camp in the “best shape of his life”, the term was met with some worry by those that read it. McCalvy clarified that he simply meant that Veras, who stands 6’6″ and is listed at 240 pounds, is every bit of human that his bio suggests. Veras, 31, pitched exclusively out of the bullpen last year for the Pittsburgh Pirates (as he has throughout his professional career) where he posted a line of 2-4, 3.80 ERA, 71.0 IP, 54 H, 32 R (30 ER), 6 HR, 34 BB, 3 IBB, 79 K. He held opponents to a .206 batting average, and his WHIP totaled 1.24 for the year. He was 1-for-8 in Save opportunities for the Pirates, and hasn’t saved a game since 2007 when he was 2-f0r-2 for the New York Yankees. In other words, neither incumbent closer John Axford, nor incumbent setup man Francisco Rodriguez need worry about their jobs. That isn’t to say that Veras doesn’t have late-inning value. He was the primary setup man for Pirate closer Joel Hanrahan and appeared in 79 games. His talents and level of ability definitely fit better in the 7th inning, which for the record is where the Pirates would’ve pitched Veras in 2011 had Evan Meek been healthy the entire season. The 7th inning just so happens to be a spot where the Brewers have an opening (actually, two) created by the free-agent departures of LaTroy Hawkins and Takashi Saito. 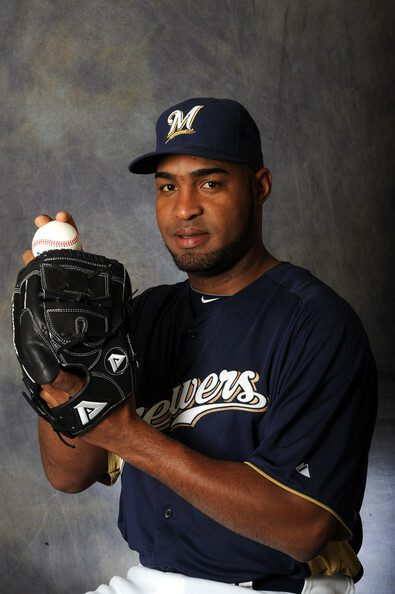 It’s extremely early in the process to determine anything definitively, but if camp broke today and the Brewers faced the Cardinals tomorrow and the starter could only make it through six…it would be a safe bet that Jose Veras would get the ball first in a close game where the Brewers had the lead. Veras features a big fastball (range: 92 MPH – 97 MPH with a 94.1 MPH average velocity), curve ball (range: 75 MPH – 82 MPH, average: 78.6 MPH), and split-fingered fastball (80-86 range, 83.8 average). He is a strikeout pitcher, as evidenced by his 79 strikeouts in 71.0 innings last year and his career 249 strikeouts in 247.1 innings pitched. When batters put the ball in play against him, the ball tends to head skyward. His career ground-out-to-fly-out ratio is 0.81 and was actually 0.68 in 2011. Bottom line: He’ll contribute positively much more often than not, but like any relief pitcher is prone to give up runs in bunches. In the 19 appearances in which Veras allowed runs to score on his record, he allowed multiple runs nine times. To put it another way, he seems to be a very on or very off pitcher (just based on hard numbers), so it will be part of manager Ron Roenicke’s job with the help of bullpen coach Stan Kyles, to make sure they can identify the days when they might be getting an off Veras.